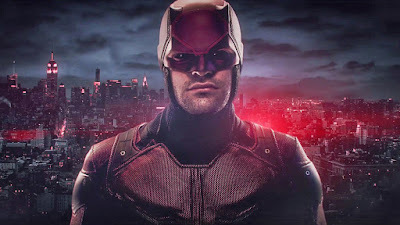 In 2015, Netflix introduced Daredevil, the first of four groundbreaking Marvel superhero series revolving around a group of New York-based characters famously known in the comics as The Defenders. Daredevil features blind lawyer, Matt Murdock (Charlie Fox), turned vigilante who lost his sight at the age of nine, but simultaneously received heightened senses (including an internal radar-like ability) due to an automobile accident and exposure to chemical agents. Murdock was also extensively trained in martial arts and now uses all of his physical gifts to fight crime in Hell’s Kitchen. Just like in the comics, Murdock’s Catholic faith is a key component to the overarching storyline. He struggles to reconcile his extracurricular activities in regular conversations with his priest, Father Lantom (Peter McRobbie). Sometimes they meet in the confessional booth. Other times they converse on a park bench. Regardless of the location, the Bible is regularly interjected into the dialogue. In the 13th episode of season one, Murdock struggles as he decides how to deal with powerful crime boss Wilson Fisk (Vincent D’Onofrio) who has been responsible for numerous deaths. “Meaning righteous men have a duty to stand up to evil,” Murdock responds in an attempt to interpret the passage (Proverbs 25:26) in light of his moral dilemma. 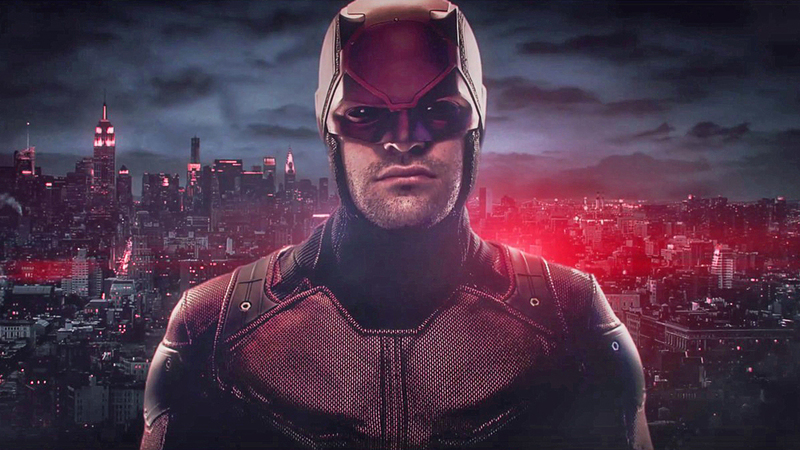 Murdock also shows up in the mini-series The Defenders and, in the first episode, is shown wrestling with his decision to no longer fight as Daredevil. In the confessional booth, he admits that he lied to his ex-girlfriend Karen Page (Deborah Ann Woll) and told her he doesn’t miss his vigilante lifestyle. After acknowledging he had been ignoring his true feelings, Lantom brought the conversation back to the Bible. “Man looks on the outward appearance, but the Lord looks at the heart,” Father Lantom says, quoting 1 Samuel 16:7. “Can you elaborate Father?” Murdock asks. “Even if it’s damaged?” Murdock responds. It’s not just Murdock and Lantom, however, who opine issues of good and evil with the Bible as the core of discussion. Wilson Fisk, the villain of season one, goes on an unusual rant during the 13th episode while incarcerated in the presence of two FBI guards and an FBI agent. After paraphrasing Jesus’s parable about the Good Samaritan (Luke 10:25-37), the violent criminal makes a surprising admission. When the agent pressed for an explanation, Fisk shot back with a more accurate response. Ultimately, it is Murdock who showcases his beliefs through Bible-tinged conversations with Father Lantom and a constant struggle to reconcile his after-hours job with his religious beliefs. Dear Lord, help us to live out our faith in a way that is pleasing to You. Help us to let our faith lead us and guide us. In the Name of Jesus, Amen.